Well, “Three Billboards Outside Ebbing, Missouri” keeps climbing that awards mountain. The SAG Awards are notable in their brevity. For film, they only nominate the categories of Best Actor, Best Actress, Best Supporting Actor and Actress, and Best Ensemble(Also known as Best Cast in a Film). This last award is taken by most to a substitute for Best Picture. 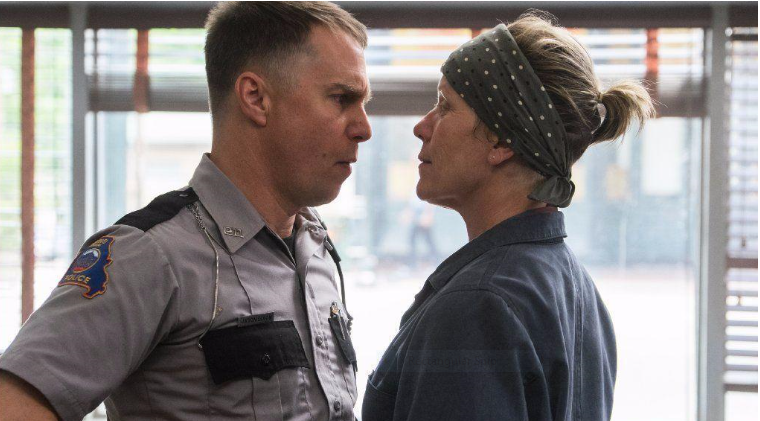 “Three Billboards” scored that award, Best Ensemble, Best Actress, Frances McDormand, and TWO Best Supporting Actors, above pictured Sam Rockwell, going toe-to-toe with co-star Woody Harrelson. Harrelson’s nod can be seen as knocking Golden Globes nominee Armie Hammer for “Call Me By Your Name” out of the competition here. Plus MacDormand that makes four. “Call Me By Your Name” was NOT nominated for Best Ensemble(!) Only Leading Actor Timothee Chalamet got in. Yikes! Only Saorise Ronan and Laurie Metcalf as the battling mother and daughter team in “Lady Bird” got in, but it also got Best Ensemble. That makes three, whereas “The Shape of Water”, which did not make Best Ensemble either. 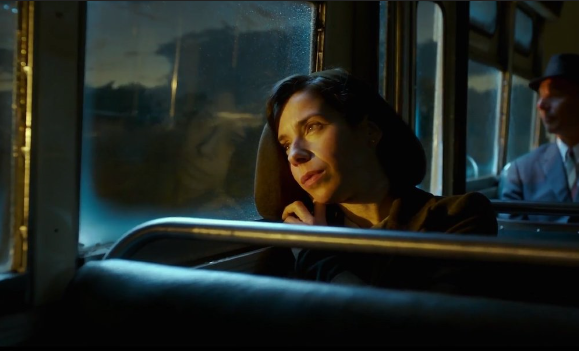 but stars Sally Hawkins, and co-star Richard Jenkins. Which gives it only two. And here, below, are all the nominees, in the Film division.